"I really do believe Australia can win the World Cup." - Warne. With the World Cup less than five months away, each time is trying to figure out the best playing XI for itself, and are asking experts for their opinions. Former Australian spin wizard Shane Warne feels that his side is one of the favorites to lift the coveted trophy and has backed the currently suspended duo of Steve Smith and David Warner to make a powerful return to the side. The legendary bowler has drafted his starting XI for Australia with an idea of playing D’Arcy Short alongside David Warner as the opening pair, having Aaron Finch to play on number three and moving the likes of Steve Smith, Shaun Marsh, Glenn Maxwell and Marcus Stoinis down the order. Alex Carey, according to Warne, should play down at number eight ahead of the pace attack of Pat Cummins, Mitchell Starc and Jhye Richardson. He also said that if Steve Smith doesn’t completely recover from the injury he is nursing, Ashton Turner can be a good cover. 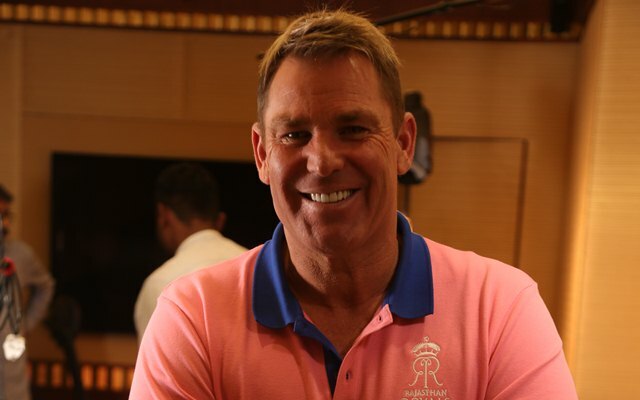 Warne said that Smith should not just be fit for batting but for fielding too, and if he cannot throw the ball, he should not be included in the playing XI. Warne’s back-ups – Ashton Turner, Adam Zampa, Peter Handscomb, Josh Phillipe, Riley Meredith.